It was a mixed bag for the Irish riders in the junior men’s and elite women’s races at the World Cyclocross Championships today. In the junior race national champion Thomas Creighton was best of the Irish. The McConvey Cycles man finished in a solid 52nd place. He was some 5:43 down on the winner and new world champion Ben Tulett of Great Britain. Tomas Kopecky of the Czech Republic was 2nd, at 22 seconds. And Ryan Kamp took a popular bronze for the host nation Holland another eight seconds back. 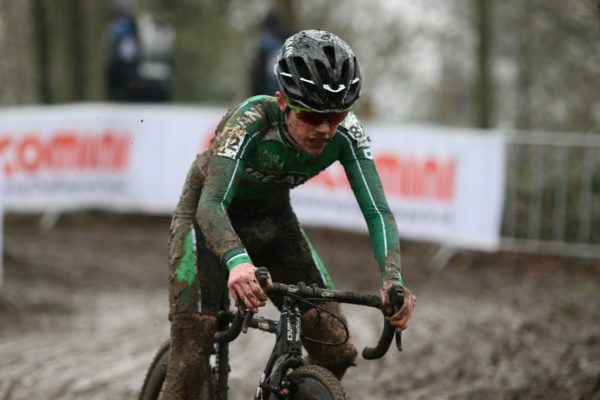 In very muddy and cold conditions, Creighton, Adam McGarr and Archie Ryan were always going to be up against it against the best juniors in the world. However, they were required by the selection criteria to race abroad on several occasions this season. And having done so they were not completely new to testing international competition. But the Worlds, in any discipline, is always a completely different prospect. The junior field became strung out very quickly. And all but the top riders were in a fight for either the minor placings or survival. 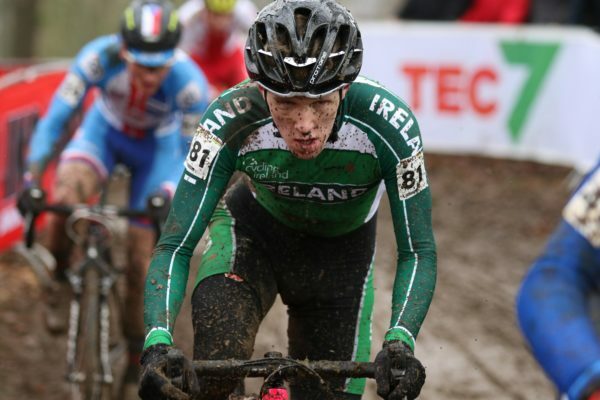 Considering they were competing against riders who mostly race on the European circuit all season; for the Irish, the fight was going to be to survive. And to their credit they scrapped hard; gaining invaluable experience for the next time all three will inevitably don the green of Ireland. McGarr would finish just a few places – and 1:26 – behind Creighton. 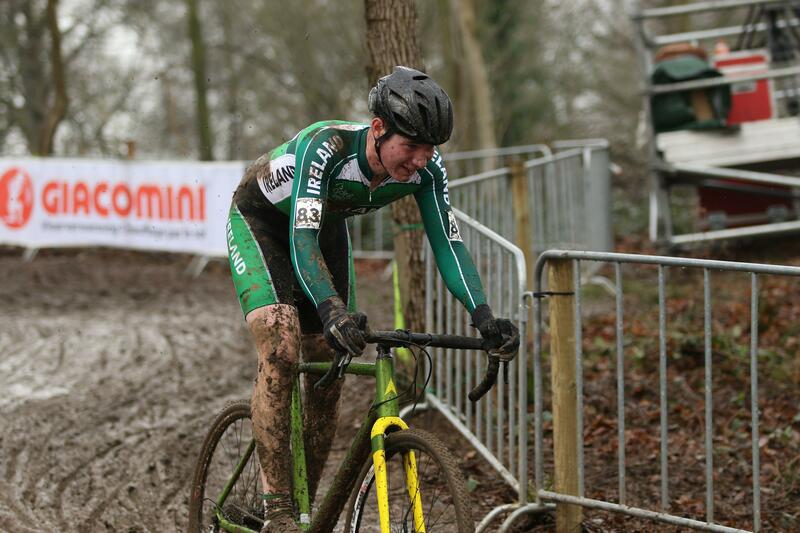 And Archie Ryan, who has just moved into the junior ranks, was one lap down by the end of the contest. 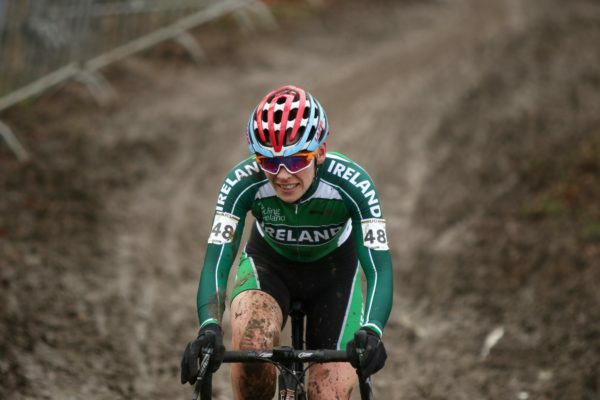 In the women’s race, US-based Maria Larkin was the sole representative. She endured a testing day and would finish 39th. Belgian Sanne Cant took the title again; winning by 12 seconds from American Katherine Compton. And taking the bronze, 12 further seconds back, was Lucinda Brand of the Netherlands.